There are sleep cycles and there are also weight loss cycles. Almost everyone loses weight on weekdays and gains weight on weekends. What separates the slim from the heavy isn’t how much more they gain on weekends. It’s how much they lose during the weekdays. In this study, Dr. Brian Wansink from Cornell University, in collaboration with researchers from the VTT Technical Research Centre of Finland and Tampere University of Technology, looks into the impact that the seven-days-a-week human cycle has on weight. Eighty adults participated in the study, ranging in age from 25 to 62 years old. 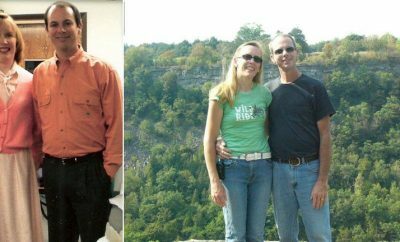 These individuals were categorized according to relative weight changes: weight losers (-3% weight loss), weight gainers (+1% weight gain), and weight maintainers (-3% to 1% weight change). These individuals were asked to weigh themselves after waking up before breakfast. Only weight measurements that were taken over at least seven consecutive days were included in the analysis. The minimum follow-up time was 15 days and maximum 330 days. The main objective of the study was to observe whether weight fluctuation is dependent on the days of the week. Weekly weight patterns were analyzed across the three groups: weight losers, weight gainers and weight maintainers. The results revealed a clear pattern in weekly weight fluctuation with higher weight after weekends (Sunday and Monday) and decreasing weight during the weekdays reaching the lowest point on Friday. 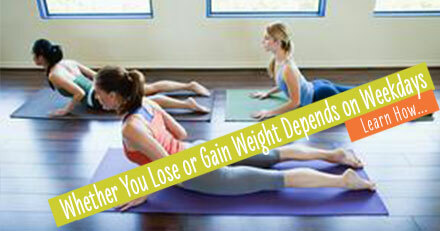 Unexpectedly the researchers found a difference between weight losers and weight gainers in these fluctuation patterns. Weight losers had stronger compensation pattern (i.e. after weekend the decrease started immediately and continued downward until Friday) whereas weight gainers had more variability between days and no clear decrease during weekdays. Weight losers reached week’s maximum weight in 59% of cases on Sunday and Monday and week’s minimum weight in 60% of cases on Friday or Saturday. Among weight gainers no such a pattern was seen. Minimum and maximum weights did not systematically appear on certain days but they were evenly distributed all over the week. Based on these results, weight variations between weekdays and weekends should be considered normal instead of weight gain. On the weekends people have more time to go out and eat. Some indulging during weekends makes no harm but for successful weight loss it is important to notice these rhythms and take steps to reverse the upward trends after the weekend, even if it has to wait until Monday. Successful weight control is more likely to happen and for the long run if one is not too strict with one’s diet but allows for short-term splurges.